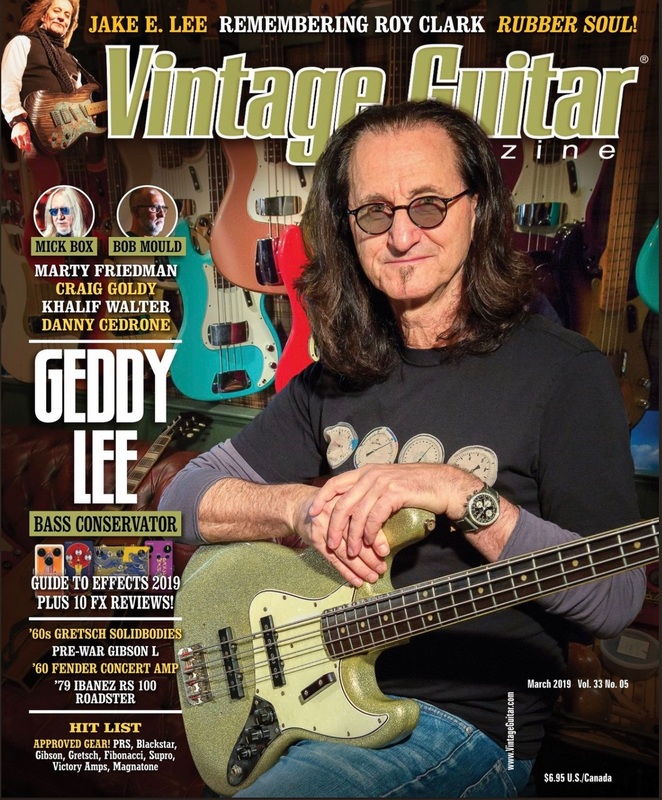 Geddy Lee is pictured on the cover of the March 2019 issue of Vintage Guitar magazine for an interview feature titled Geddy Lee: Bass Conservator. The interview focuses on Geddy's Big Beautiful Book of Bass, covering a number of topics including Ged's earliest experiences with the instrument, the many unique guitars in his collection, and his process for researching and writing the book. There's not much in the interview that hasn't already been covered in the dozens of other interviews Geddy has done to promote the book over the past few months, but it's a great read nonetheless. John over at Cygnus-X1.net has transcribed the entire article and made it available online at this location. As part of Geddy Lee's continuing promotional tour for his new book, Sirius XM's Deep Tracks channel aired a special over this past weekend called Bass Playing Super Stars with Geddy Lee (thanks Will C). In the hour-long special, Geddy picked some of his favorite bass players, said a few words about each one, and then played a couple of tracks featuring his choices - Jack Casady, John Entwistle, Jaco Pastorius, and John Paul Jones. Last week Geddy continued his signing tour to promote the book, making a stop at Book Soup in West Hollywood for his first west coast signing, where he signed books for hundreds of lucky fans. TourBusLive was on hand at the event and snapped a bunch of great photos as seen in this Facebook gallery. This was the fourth book signing event Geddy has put on since releasing his book. He's done signings at IndigoSpirit in Toronto, Bookend Books in New Jersey, and at the Rock Hall in Cleveland, and will likely do more in the coming weeks/months, although there aren't any others scheduled as of yet. As a matter of fact, it looks like Geddy is currently vacationing down under, as he was spotted at Auckland airport by a fan this past weekend. So he'll probably be taking a break from signing events and resting up his fingers for the next few weeks at least. Geddy Lee's Big Beautiful Book of Bass released back in December and you can get your copy here if you haven't already. 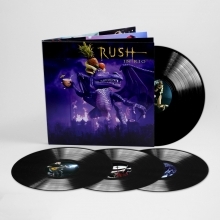 The 4-LP vinyl edition of Rush's 2003 live album Rush in Rio released last month and is now available for purchase. The set is produced on 180 gram vinyl with a newly designed heavyweight gatefold jacket, and also includes a download card containing all of the tracks. National Rock Review posted a review of the set this past week which you can check out online here. The set is now available for purchase via Amazon and other retailers. The live album/film was originally released as a 3-CD/2-DVD set on October 21, 2003. This is the first time it's been made available on vinyl. 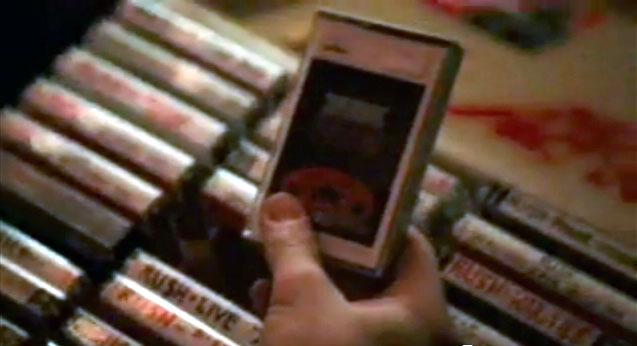 "La Villa Strangiato" is one of the few Rush's songs where Neil Peart is credited with writing music. 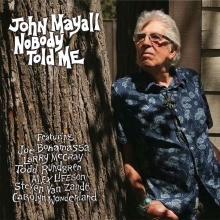 Even though it is an instrumental, it tells a story in its own way, complete with plot and characters. It's based on some nightmares Alex Lifeson had. The album will release 2 weeks from this coming Friday on Feburary 22nd and is now available for pre-order at this location. This year's Rushfest Scotland will take place at the Dreadnought Rock Club in Bathgate, central Scotland on Saturday, May 11th. 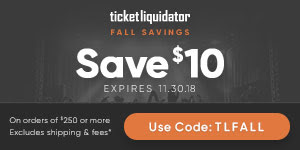 You can get all the details on their website and by checking out the flyer. 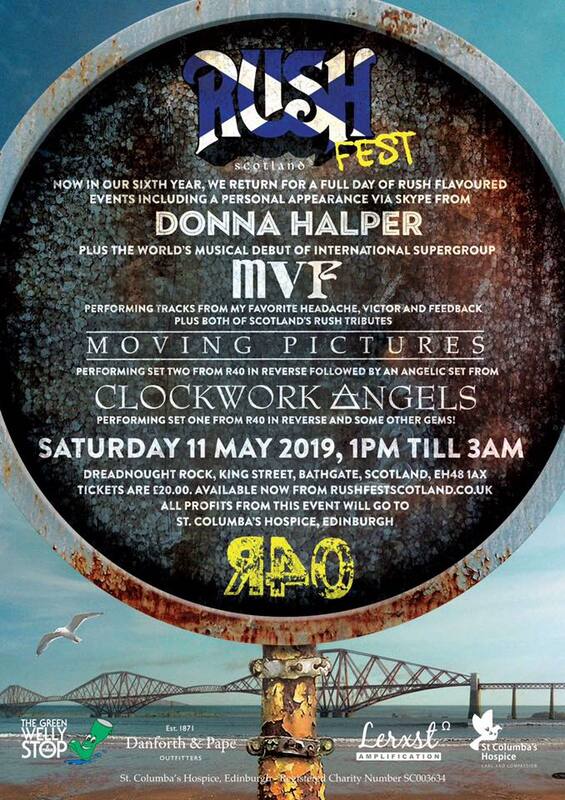 Rush tribute bands MVF, Moving Pictures and Clockwork Angels will perform; Donna Halper will appear via Skype, and all profits from the event will go to St.Columba's Hospice in Edinburgh. For more information visit the Rushfest Scotland website and follow them on Facebook. That's all for this week. 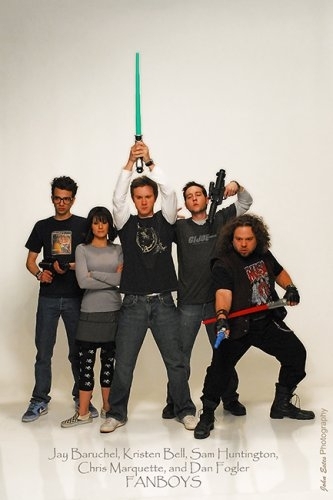 Have a great weekend everybody!